How nice that your car cares so much about your well being! Great sooc Harry, I've never seen a message like that before! What make of car? my car gives me a snowflake next to the temp, but no drive with care. It's nice to know someone cares, no? My car pretty much flips me off every time I get in it. Great shot!! Mine tells me there is ice possible when the temp is 34 and lower. Ha ha, the first time I saw it, startled me, did not expect it to do that. Wow, mine only gives me the temp. It's nice to know your car cares. lol My husband's care is polite. It tells him to "refuel please" when the gas light comes on. That IS a smart car! 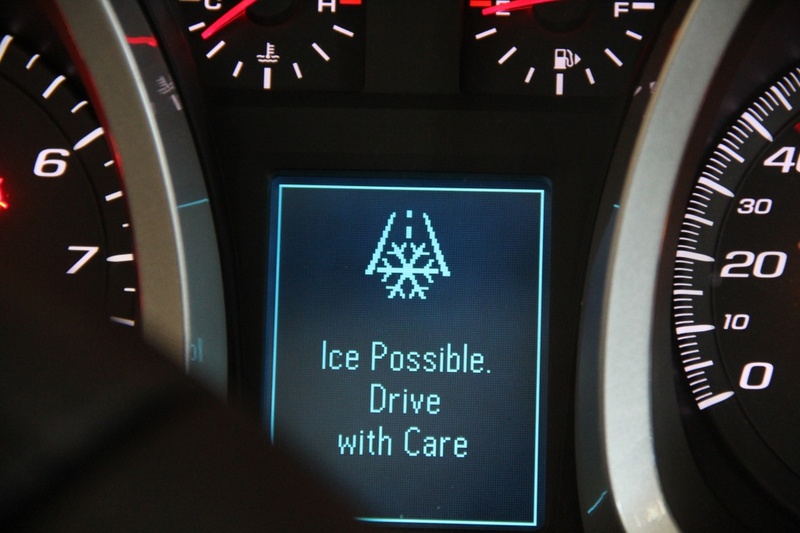 That's awesome.. My husband's truck will warn you about the temperatures being low enough for ice on the roads but it doesn't show you a pretty snowflake, lol.. Sometimes all the gadgets and new stuff do something pretty useful for a change..
@sourkraut Thank you Lina, it surprised me! Nice to see a little view of the inside of that sweet new ride! Cool shot! About time cars use the computer in them to provide a useful interface to the humans. Cool shot. Too funny. It's like having a front seat driver. Fun shot. I guess we don't need to be smart any more since all these gadgets we own take care of that for us. Cool capture. It must be the temperature that lets the car know to warn you.